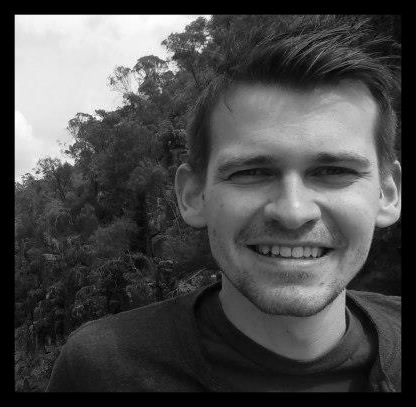 Starting today, Ben and I are at The Leeds Film Festival for around six of its sixteen day run. If you've never been to LIFF then it is well worth a visit. As with any programmed selection of films you'll find you enjoy some and hate others, but it's the atmosphere of the place that makes attendance a must. Just being in the same room as other film fans creates a sort of hivemind of cinema obsessed geeks, something you're unlikely to experience elsewhere. There's also Hyde Park Picturehouse and Leeds Town Hall as venues, two of the most unique screening sites you're likely to find in the North West. First up today however, some classic LIFF disappointment, as Cumberbatch mania meant I couldn't get a ticket for The Imitation Game at Hyde Park this evening. As I was leaving, members of The Batch (like The Brood but less evil and a little older... probably) were queueing well down the road outside of Hyde Park. They are not famed for their punctual start times at the Picturehouse, and you do wonder if The Batch are still there now. One thing regular LIFF goers will tell you the festival is famed for is small little technical niggles (it is, largely, part of the charm) and my first screening of the day had three of them; Nocturna started fifteen minutes late and the picture disappeared twice at around half an hour and an hour in, though the sound carried on. A screensaver kicking in on a laptop? A timed shut-off of some other device? It's a difficult one to shrug off if so. Genuine technical difficulties are understandable at a festival that had 27 screenings today from a range of sources, at a range of venues but something like that, especially in a room largely full of kids, really shouldn't happen. The film, though cute, well drawn and with a cracking animated feline sidekick, is horribly let down by a terrible English language dub. From here it was into the town centre for When Animals Dream in the Town Hall and Timbuktu in Vue. The former was part of LIFF's Day Of The Dead, which I must say I am always a little wary of, at least in part because it feels as though it is often programmed for 'gore hounds', the on stage announcer confirming that the shorts later in the day would appeal to that predilection of Horror fan. 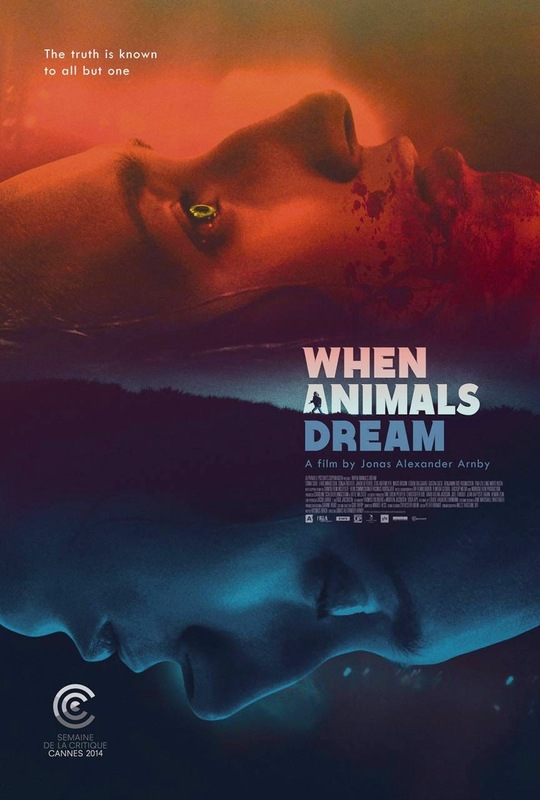 When Animals Dream is compared in the booklet (and again on stage) to Let The Right One In and, though not operating at that level, it is much more similar to that than something like Hostel. I enjoyed it and it has gone up in my estimation post screening: normally a good sign. Timbuktu meanwhile, I had perhaps hyped up a little too much, having seen several superlative reactions from other film festivals. It's a good film, but supremely detached from its characters and action, something I struggled with, especially come the conclusion. 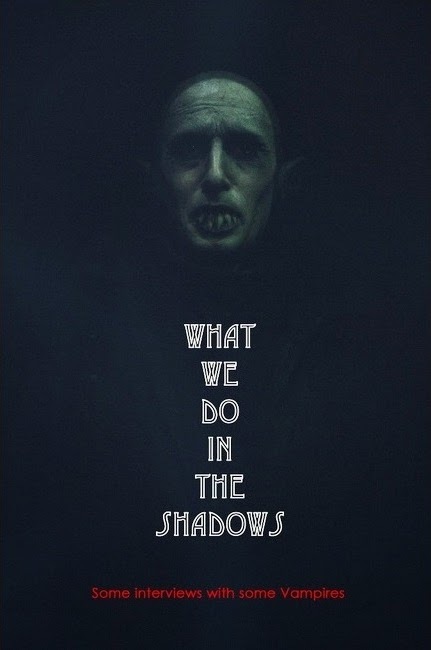 What We Do In The Shadows however is supremely involved with its characters, whom you feel Jemaine Clement and Taika Waititi have rather fallen in love with. It was clearly film of the day, ploughing the all-too-rare-these-days furrow of Comedy that sets out to be quotable. Never will you be able to look at a werewolf without considering it a 'swearwolf', 'dark bidding' will never feel threatening again and there's a sandwich metaphor in here that will make you wonder every time you pick up a BLT. Flattering Horror-Comedy comparisons with Shaun Of The Dead surely await.